How much for a trailer? Think of your trailer like a vehicle — after all, your trailer is the vehicle for your game online. So how much is a vehicle? You might find a used scooter for a few hundred, but you probably want a fully-equipped SUV that will cover you in any situation — which starts at a much higher price point. Know what kind of vehicle you want? Great. Now we can figure out what kind of vehicle you can afford. How much for a FULLY EQUIPPED Trailer? These trailers are loaded. In this Tesla Model X of game trailers, just provide your game and I’ll take care of everything trailer-related. Sit back in the plush leather seating — that empowers you in the last string of crunch before your baby releases into the game-o-sphere. You pay for a quality ride. 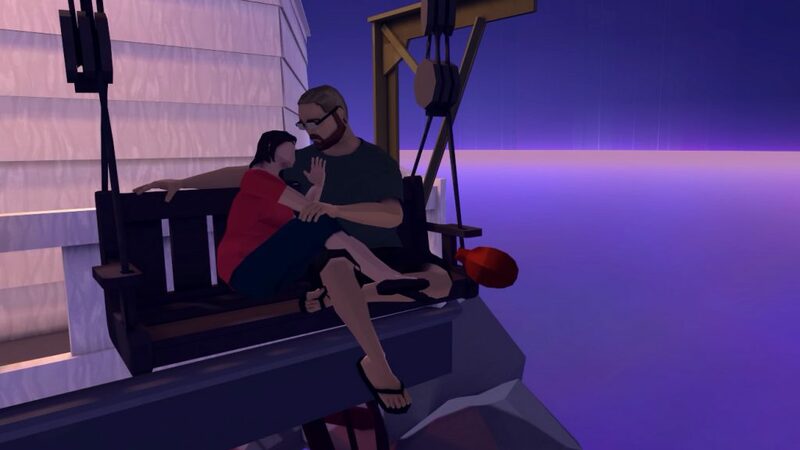 My That Dragon, Cancer trailer shows this in motion. How much for a CUSTOM Trailer (where devs capture the footage)? You captured the game footage yourself (and you might even have an idea for how to use it). I take care of everything from there — so you can get back to jamming on your game. You get the performance and qualities of a FULLY EQUIPPED trailer, but you take the edge off of the production cost. You pay for a collaborative ride. Ecotone’s Early Access trailer serves as an example. How much for a LIVE Trailer (with real players)? You want to know how people experience your game, so I put your game in front of real players. They play the game on camera (with sound) while I capture their in-game experience. I showcase their emotional highs and lows, providing the truest sense of what your game is like. Couch multiplayer and stream-friendly games come across brilliantly in this setting. Plus, your audience gets to experience true human emotion. You pay for an authentic ride. Case in point? My Threshold’s trailer. How much for a consultation? You don’t need somebody to make a trailer for you, but you do need a trailer expert to make sure your trailer kicks people where it counts. I’ll provide my trailer expertise at the cost of my time. You pay for expert advice. When do you give me a real dang number?